Bee Universal Inc. is an innovative not-for-profit organisation based in Cairns, Australia. It was initiated by Renee Cashman in 2002 and is focused on building peaceful communities and spreading messages of peace and harmony. We currently do this through publishing a local holistic magazine in North Queensland – Connect Magazine. We are dedicated to spreading information and inspiration and integrating our community. We are also known for the special community events we co-create incorporating the powerful and energetic Human Mandalas, and special ritual theatre pieces which touch the soul. 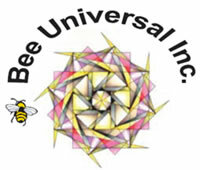 Bee Universal Inc. is dedicated to removing the barriers that separate us from each other and from our true Divine selves. Our goals are to foster community spirit and to inspire a sense of harmony with the environment. We focus on spreading messages of peace and harmony, informing, inspiring and integrating our community. We organise special community events that bring people together and feature Human Mandalas as a symbol of our unity. The bumble bee is our logo as it’s a reminder that infinite possibilities are available to us. The bumblebee is so big and it’s wings so small and slow moving that scientifically it shouldn’t be able to fly. Like the bumblebee we are unlimited in what we can achieve if we are in alignment with nature and life itself. The bee is also symbolic as it is a worker, in service for the community. We see that like the bee we are collecting pollen (love and wisdom) to share with the rest of the community. 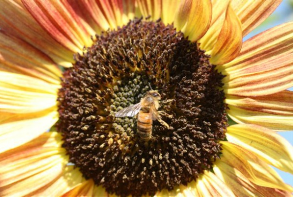 The bee is a builder, creating abundance, sweetness and healing. Universal reminds us that we are all One. Our intentions are actions that ripple out and affect All That Is. ‘Uni’ is Latin for ‘one’ and ‘versal’ for ‘the voice’ which translates to One Voice. Our power is magnified when we come together and express our heart’s desire - our individual voice combined with others, is an amazing tool for transformation.